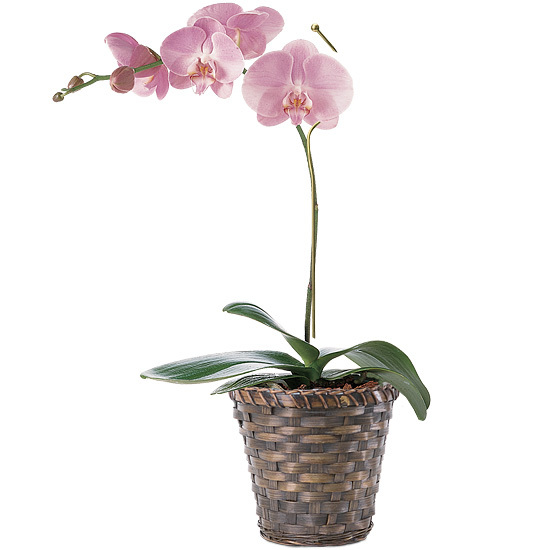 This fresh pink Phalaenopsis orchid adds a sophisticated touch of color to remind us of the freshness of summer. 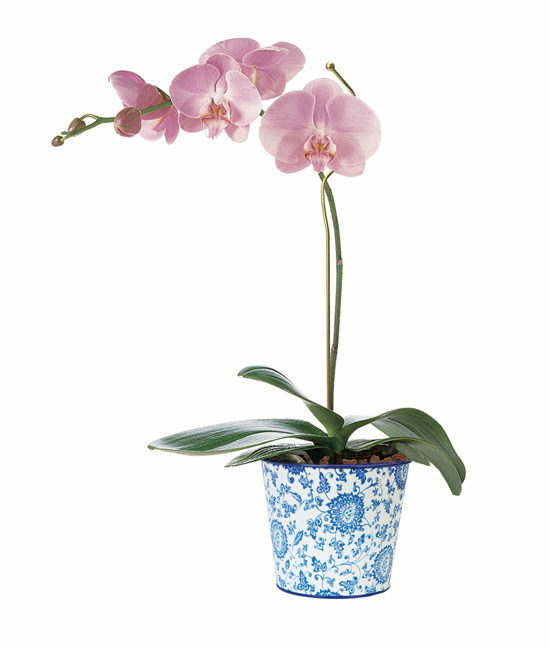 The pink blossoms, appearing as though they have been lightly frosted, are in our blue paisley printed metal cachepot. 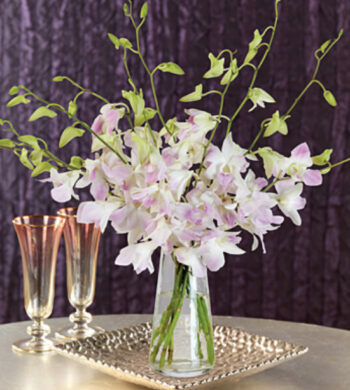 Place the orchid where it will receive low, indirect light as it loves warmth and shade. It will do best with temperatures between 59 to 79 degrees. Keep orchid slightly moist, the roots should never be dry. Take orchid out of basket or cachepot to water and drain. 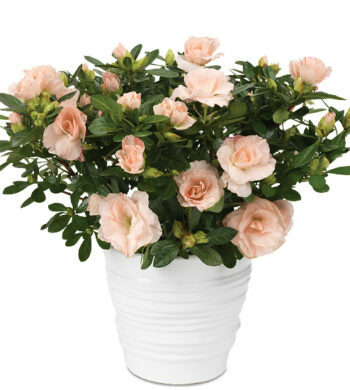 Do not allow water to run down the center of the plant as it can lead to rotting. These plants like humidity between 40 -50%. Misting will help increase humidity. 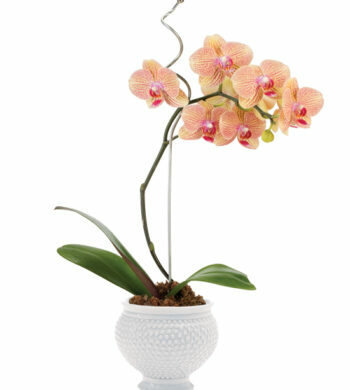 Fertilize once a month with a balanced orchid food at ½ strength. Do not fertilize while flowering.